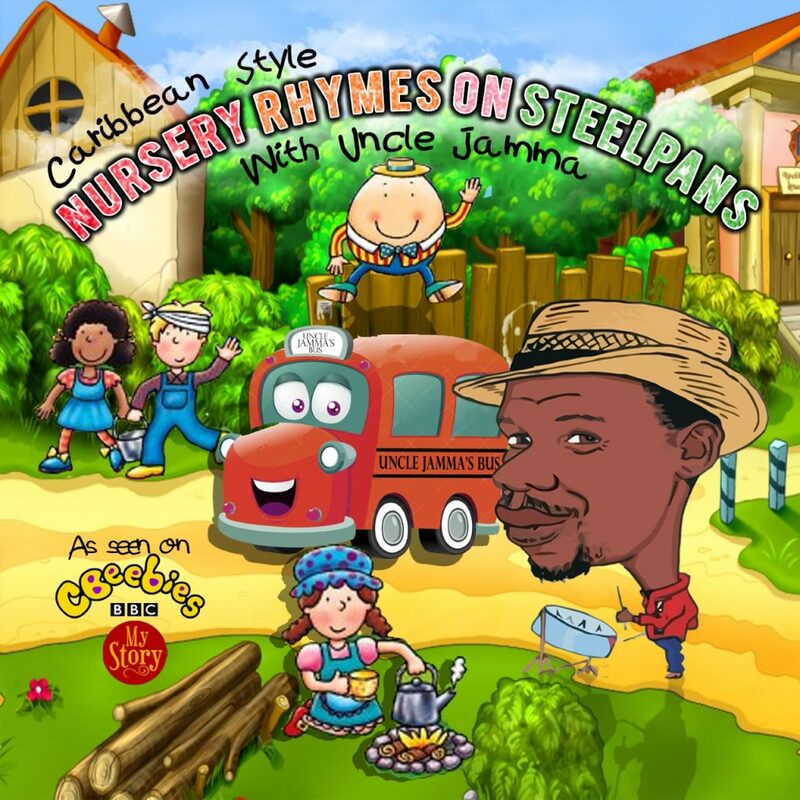 Caribbean Style Nursery Rhymes with Uncle Jamma on Steelpans has been recorded as a follow up to the overwhelming feedback Jamma has been receiving in response to the recent recording of 2My Story” The Steeldrummer recorded by CBeebies. This album is a great joy for all the family to enjoy; it is also educational explaining the origins of the Steelpans, and a great sing along tool for all generations who wish to teach younger siblings songs some of the kind of songs many people grew up with . Complete with lyrics inside CD booklet. Traditional English and Caribbean Nursery Rhymes played on Steelpans to catchy Rhythms also make’s the album great for Children’s parties. It has also proved very popular in many schools and nurseries.